The Curiosity rover landed on Mars a few weeks back. 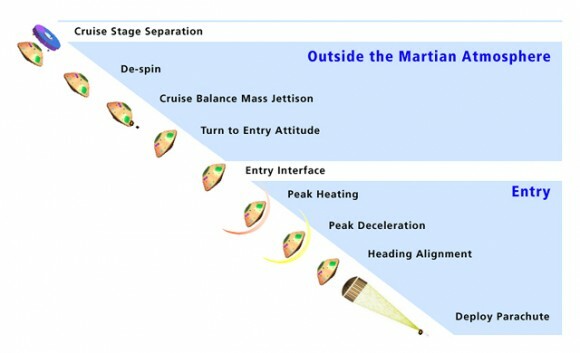 To do this it went through a complicated atmospheric entry procedure to slow down from orbital velocity before deploying a very large parachute capable of providing an effective drag force in the thin Martian atmosphere. Curiosity made it to the surface safely, and did so largely because it’s the beneficiary of about forty years of experience in successfully – and not so successfully – landing stuff on Mars. But probe landings were not always so refined.